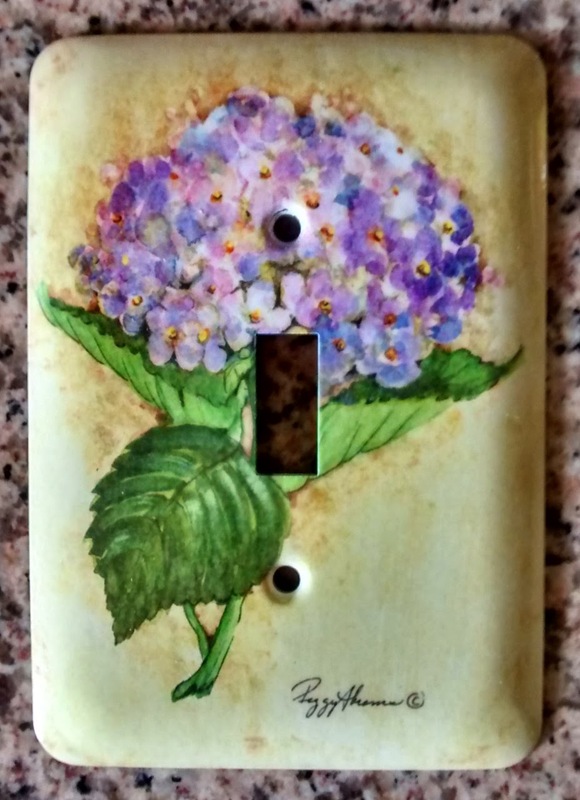 When we went to Las Vegas back in 2006, one of the souvenirs we bought Andrea was a light switch plate from the Bellagio with her favorite flower, a hydrangea. This plate was a fixture in our bathroom from the day we returned until the day we moved to Seattle. 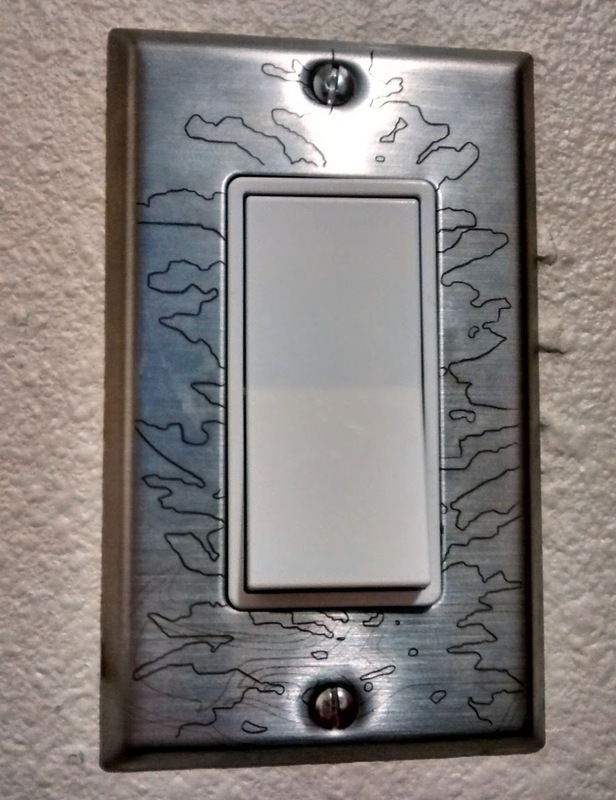 Unfortunately, our new house uses the larger 'rocker' style light switch instead of the traditional toggle, so this face plate is relegated to our junk drawer. Enter The Garage, where yet again, I am etching metal. This time around, I went a little more deliberate than the douglas fir face plate. The final cut took under ten minutes. 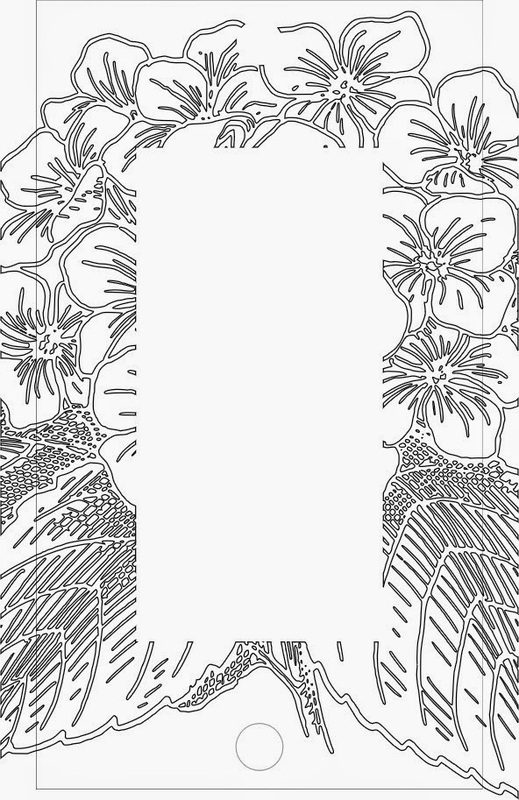 The result was pretty good, though I neglected a bit of offset at the top, and some of the details on the leaves didn't get cut. 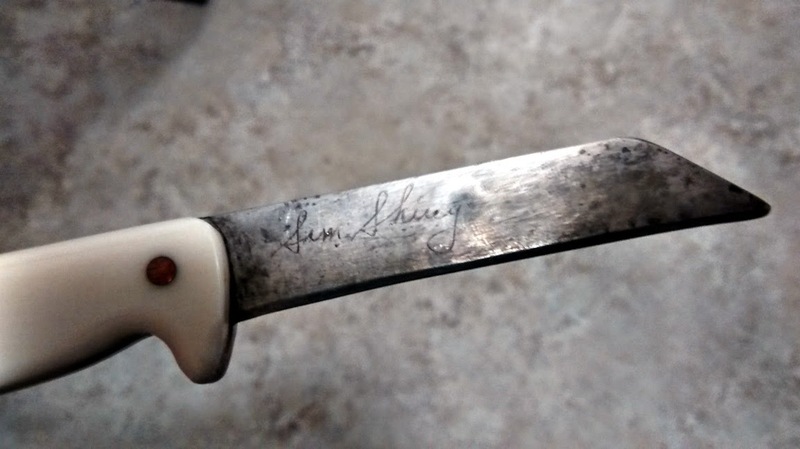 Several years ago -- probably before Jacob was born -- my dad dabbled in the making of knives using very hard bimetallic blades, some Corian for the handle, and heavy gauge copper as a plug. He worked with me to make my own, which Andrea and I kept in regular use in our kitchen. 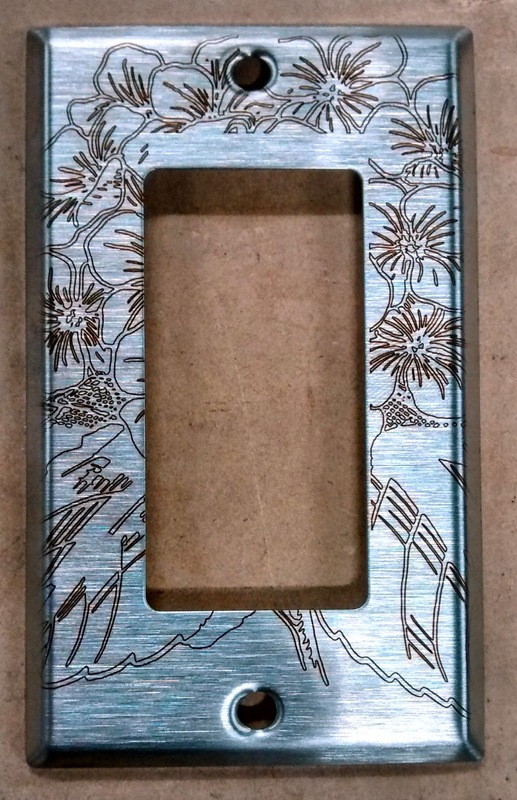 Bonus points to those of you that recognize my first attempt at etching metal.